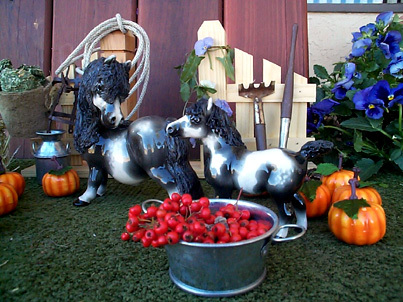 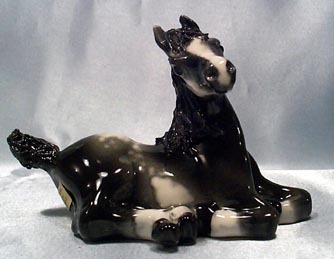 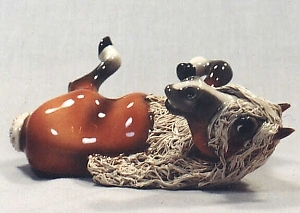 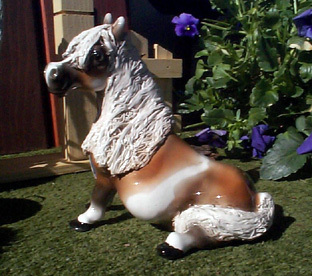 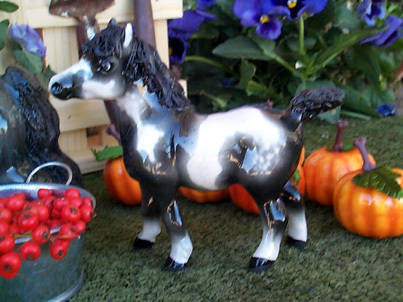 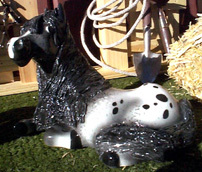 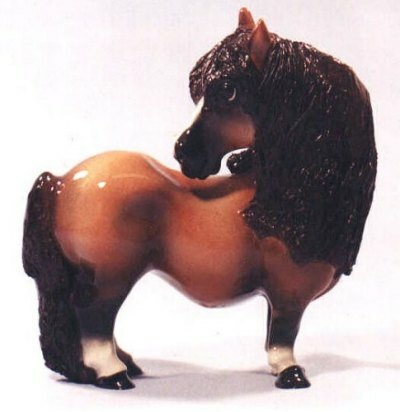 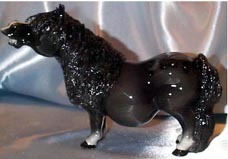 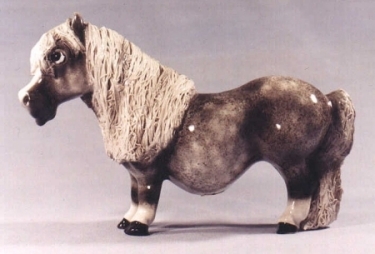 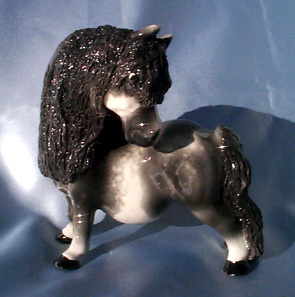 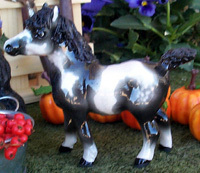 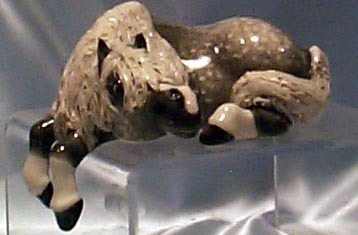 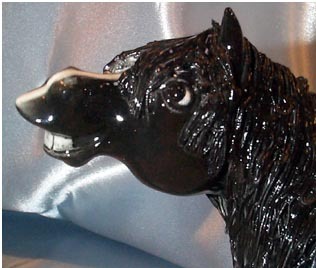 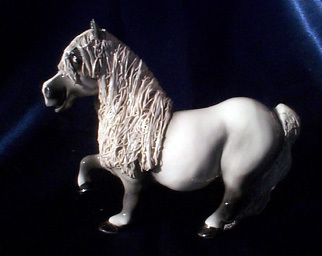 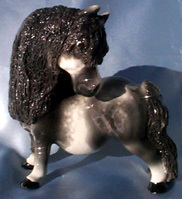 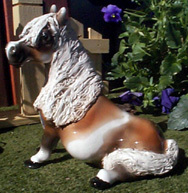 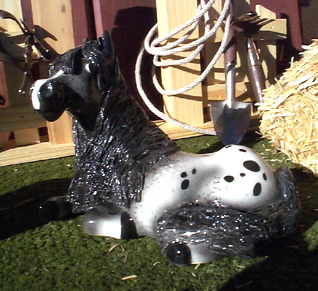 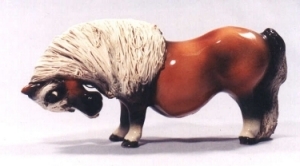 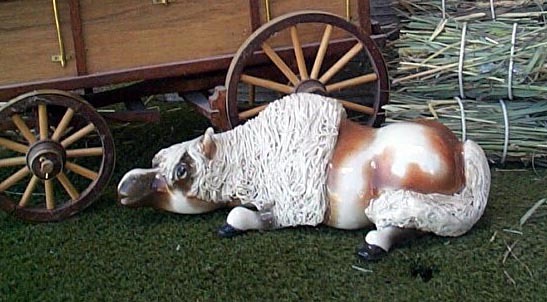 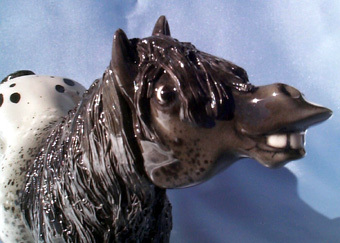 Cheval ponies are carefully handcrafted, hand painted and triple glazed. 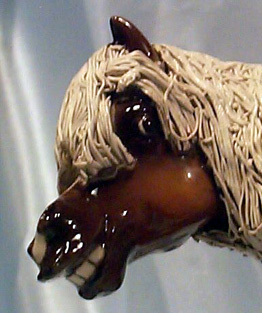 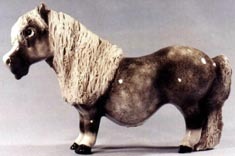 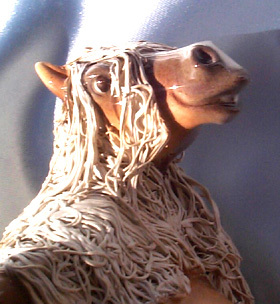 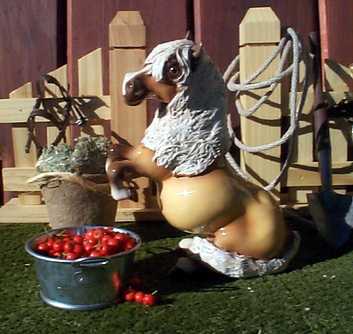 They all have distinctive manes that look like spaghetti but are carefully made in ceramic and applied a few strands at a time. 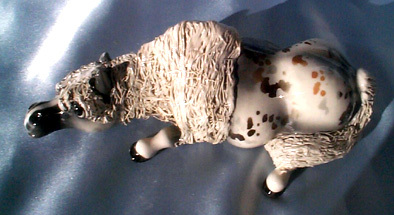 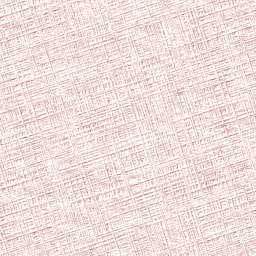 2 4/3" H X 4"